2013 International Speech and Evaluation Speech contests comming up in February! Do you want to be a Better Speaker? Or Grow as a Leader? 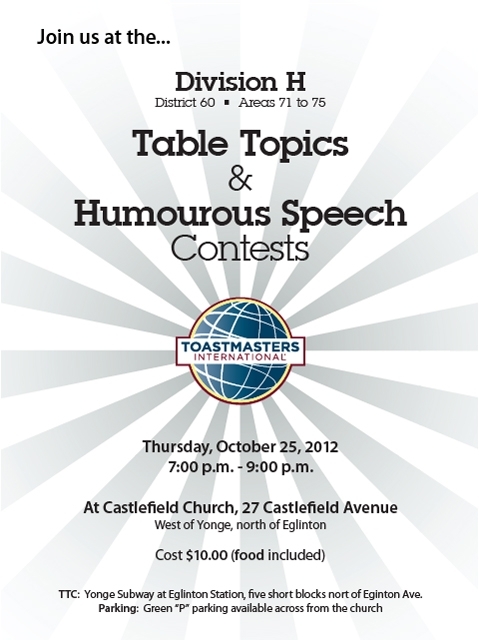 Your Toast of CIBC Toastmasters club is hosting the 2013 International Speech and Evaluation Speech contests in February! Register today if you want to compete. Or volunteer and help out behind the scenes! Get credits that go toward your CL Manual! Volunteers are required for the role of Timer, Counter and Sergeant-at-Arms. Members with speech evaluation experience are needed as a Contest Judge or a Chief Judge. NOTE: Only members at the CC-6 level can compete in the International Speech Contest. ……It is a short notice, but in case you are in York Region or other areas wishing to attend. Wishing our friends and family a joyous Holiday filled with Peace, Love and Prosperity. Make sure to deliver at least one Toast during the Holidays – we are sure you will find occasion. The first meeting of the new year is January 10th, 2013. In case you do not know about the Toastmaster International magazine…. With our open house/member drive event happening on November 29, 2012, you are encouraged to read the magazine online or refer your guest to do so to learn more about Toastmasters! Get inspired by 2012 world champion Ryan Avery- the youngest in the history of the contest! 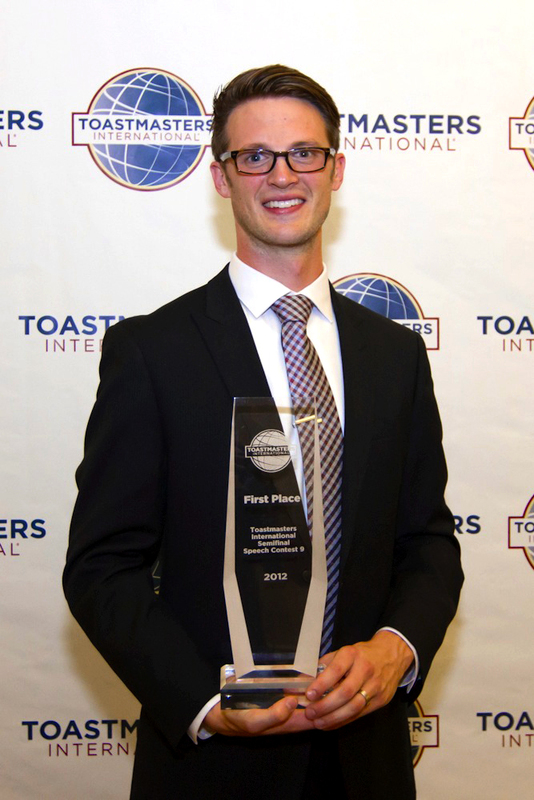 With a speech titled “Trust is a Must,” Ryan Avery, a Toastmaster from Portland, Oregon, won the Toastmasters World Championship of Public Speaking today. At age 25, he is the youngest World Champion of Public Speaking in the history of the contest. Along with eight other finalists, Avery reached the championship finals after several eliminating rounds that began six months ago with 30,000 participants from 116 countries.